"Music scenes are clearly being created and they are not going anywhere, they are only getting stronger. It is just getting to the point where I think it might explode. There is a lot of great new bands coming through, a lot of brilliant bands." When This Feeling started as a monthly club night in London twelve years ago few could have predicted that it would become the nation's number 1 live music event. That it would expand and grow at an incredible rate to include nights across the UK ranging from London, Cardiff and Manchester to Dundee, Grimsby and Plymouth and acquire stages at the UK's major festivals. But twelve years on the promoter's ethos remains the same; it is about putting on the best new bands, the bands they love and back them to the hilt. Having supported the early careers of established bands such as Catfish and the Bottlemen, Blossoms, The Amazons and Bang Bang Romeo, the hardworking promoter This Feeling continues to hold its position as the authority when it comes to predicting what guitar bands we should be listening to, not just here and now, but next month and next year. The successful company has seen its industry undergo numerous changes during the time they have been influencing it. Being right at the forefront of what's happening has always been a must but things continue to be fuelled with action and excitement. The annual - Scotts and Lyle & Scott's sponsored - Alive tour kicked off yesterday (20 November), it features headliner guitar wonders Trampolene - with rock and soul groovers The Surrenders and shoegaze soundscapers Lacuna Bloome. It looks set to become the most iconic tour to date. Co-promoted by This Feeling and Metropolis, one of last year's Alive tour bands, Bang Bang Romeo, now have a record deal in place and an attractive stadium tour with Pink booked in for 2019. Zone commander and booker Mikey Jonns caught up with It's All Indie to share reflections, thoughts and ideas on some of the highlights of 2018, ethos and approach. "The Alive tour is basically what the NME Radar tour used to be, that is the plan plan with it. We have teamed up with Metropolis (owned by Live Nation). I think sometimes you have to join up with these bigger players. It means you can access their expertise and that is a good way of doing it. You are not selling out, but it is about getting the good bits of them, whilst you get to keep the integrity and independence." The sense of integrity and complete independence is obvious from speaking to Mikey and the vibe is forever present during This Feeling's jam-packed gig calendar, the ability to select, foster and support the very best new guitar music out there but doing it with a confident you-heard-it-here-first sort of attitude. But there is also a huge amount of professionalism, honesty and passion, tools and qualities much needed to survive the complexity of today's live music sector. Having the right people is key to maintaining consistency in attitude, ways of working and approach. The only staff members at This Feeling are Mikey and events manager George Holmes. Mikey looks after the bookings. Several reps are placed in towns and cities around the UK. George only joined full-time about a year ago and a highly effective working relationship is in place. But up until six years ago Mikey was temping and working on This Feeling matters pre- and after work or during lunch breaks. "The people I employ have got to be absolutely spot on because This Feeling is very personal to me. If you get somebody who is not treating someone else very nicely then it is effectively me doing it to that person. George has been a promoter, he has managed bands and he is brilliant. Equally, our reps around the country are the right people to be representing the company." "The last thing I want is a rep being rude to a band who have just turned up at a venue, I know that because I have managed bands. You arrive and you are not treated well, so that has always been important to me; treat people how you would expect to be treated. Showing respect is key to that." 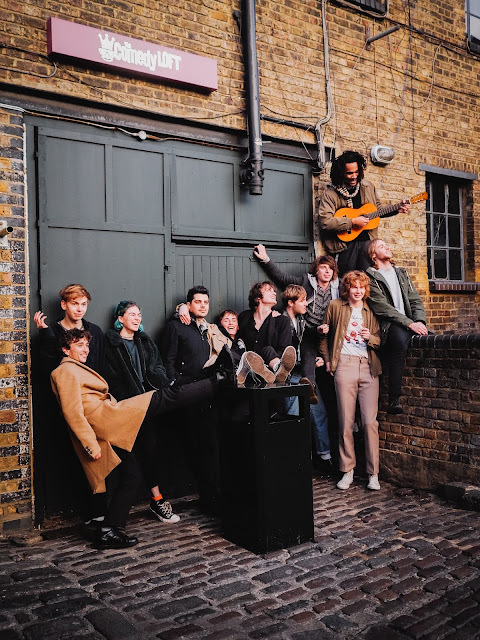 2018 has been one heck of a year for the company, one that saw the promoter extend its TV activity with several recordings scheduled and rolling coverage throughout the year featuring bands and artists such as Slaves, Shed Seven, Anteros, The Amazons, Cabbage and Trampolene, to name but a few. Adding to that were the hugely popular UK festival stages and crucial commercial partnerships. The list is long, and in addition to Metropolis/Live Nation, it includes the likes of Pirate Studios, Red Stripe and Pretty Green. Interestingly, whilst some of the aforementioned partners are large companies, Mikey still regards This Feeling as independent to its very core and he wants things to remain that way. "That is something I have always tried to do with This Feeling. You can't necessarily rely on any of the big boys or girls to write about you or support what you do, you gotta make it happen and it all starts at home. But when there is a buzz and excitement at home, it can spread and I think that is what I am aiming to do, try and foster that community up and down the country." "A good example is The Surrenders who went on tour with The Scruff, and they are just best mates now. I think that community and that love, it does spread. It takes time when you have not got something like a network TV channel, a radio station or other similar support right behind you." Having the confidence and being genuinely passionate about the music and the bands is not something you can fake, certainly not on a long-term, or on-going basis. Being able to predict what bands the gig goers are going to connect with and to do so with confidence is a real gift. "I am 40 years old now and I have managed bands since when I was at university. I have done the whole thing whereby you are gutted if you don’t hear back from the NME, you are gutted you don’t hear back from some record labels, and you kind of ooze a bit of belief as you got older, it was like 'I don’t actually need any of these'." "Gerry Cinnamon is a prime example, he has only just had a BBC Radio 1 play, but he still sold out four consecutive nights at the Barrowland Ballroom in Glasgow. I think people need to realise that you don’t always need the big players in the industry, you just need to be good, you need to graft, there is a need to go about things the right way and to be able to think ahead." "Obviously, there is a lot of good people out there. Like, Amazing Radio is doing some really good stuff, people like John Kennedy and Huw Stephens. You have also got blogs like Gigslutz, Little Indie Blogs, Northern Exposure and Gigwise, they all shine a light on new acts, just because those older, more established ones aren’t doing what they used to do. There used to be loads of music shows on TV, there was the NME and Radio 1 playing bands throughout the day. Radio 1 is clearly coming back but you don’t always need all of that, there is a way forward." "Last summer I went and saw and supported bands like Sheafs and Himalayas, their stuff is just amazing. Sometimes, I don’t think they know how good they are. What I would do for them is to help them build their story, create content, their photos etc. I try to help them get on to the next step. More often than not, off they would go, basically." Being open-minded combined with the ability to offer real opportunities for bands and the willingness to give somebody a decent chance is absolute key to the success of This Feeling. But Mikey wants to do more than that. "I want be able to stay with bands from start to finish. I don’t just want to be the platform that launches them and always have to say goodbye. 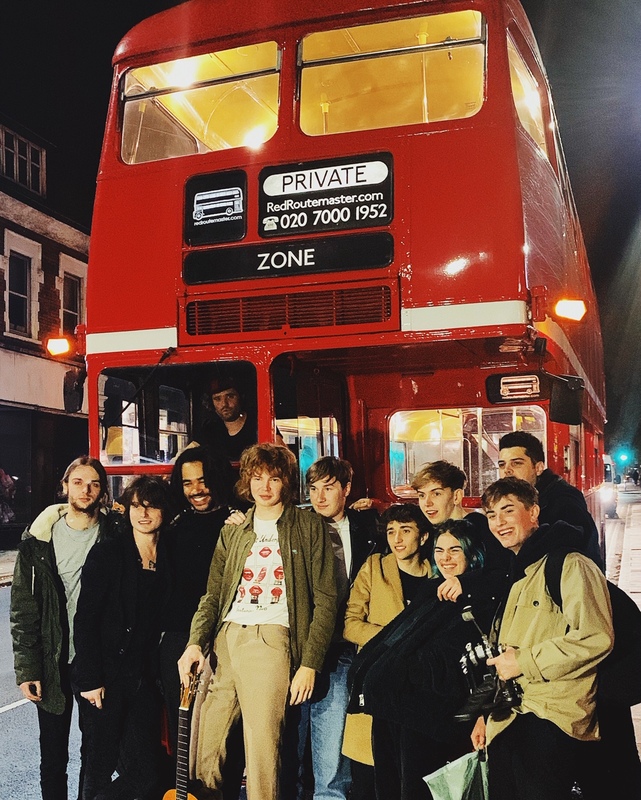 There are certain acts where I am definitely the best option to be the national promoter from start to finish and those acts you have a conversation with including the likes of Trampolene and Bang Bang Romeo." "I think ultimately it's about giving the bands a chance. Some people, high up in the food chain, only seem to be interested in stats, but for me it's more about whether I consider somebody good enough, does someone have the potential, have they worked and grafted themselves into a position whereby they deserve a good shot. In a way it's like football, you should give someone a chance because you never know what can happen. Look at the career of someone Harry Kane, before he went on loan to Spurs, and compare it with where he is now!" But how does he see This Feeling's financial future? Is there not any degree of temptation to sell the company to a big player? They are already working with the biggest concert promoter out there. "There isn't really a bigger promoter than Metropolis or Live Nation, Metropolis does Gorillaz and Blur's national tours, so it doesn't really get much bigger than those guys, so I guess we are already working with companies of that magnitude." "That all depends .. no I think for me at the moment This Feeling is priceless and I have no interest in selling it. I think sometimes you have just got to do it yourself, you have got to make it happen and if you end up walking away from the job, it is a job half done, basically." Luckily, for all of us, there is no reason for Mikey to walk away as the future continues to look bright for This Feeling.